The Knott Bump & Us: Baby Groups. Hot or Not? Baby swimming. Baby massage. Baby yoga. Baby signing. Stay and play. 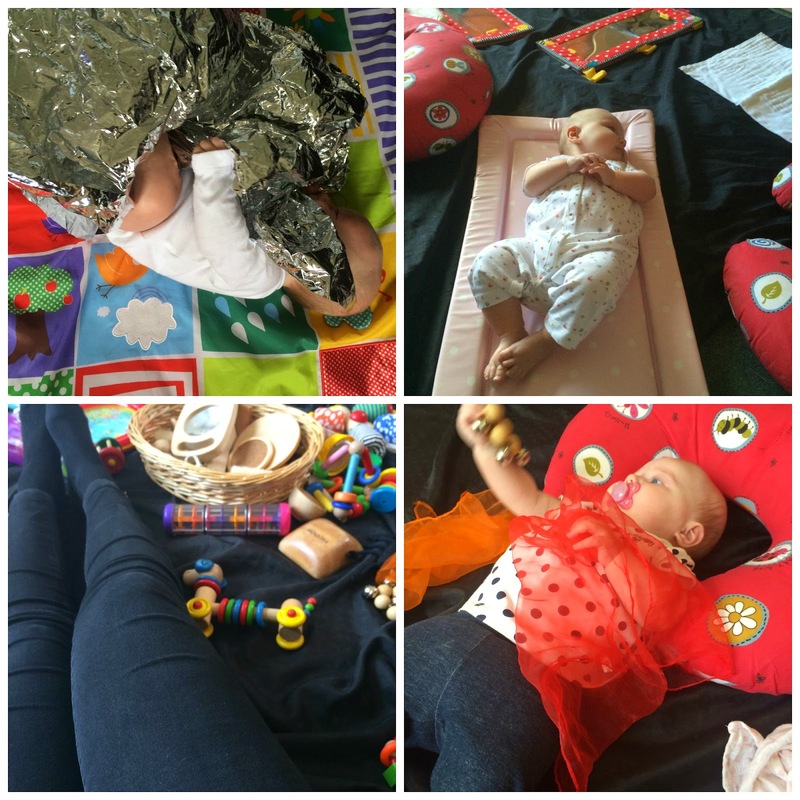 Baby and toddler groups. Messy play. Baby PEEP. Tums and mums. The list goes on and on and it seems, if you wanted to, you could go to a different baby group 3 times a day, 5 days a week! I go to a least one group a day apart from on Fridays. And Mondays are swimming lessons so not quite the same as a baby group I guess. I've read a few other bloggers posts on baby groups and I feel like us new mummies have a bit of a love-hate relatiship with them. Some of us rate them and some of us hate them. We've all had that horrible experience when you sit outside deciding whether to go in with that horrible nervous, sick feeling in your tummy. Then you take a deep breath, walk in and hope for the best! I really enjoy all the groups I go at the moment to except one where, I'll be honest, I mainly go for the tea and biscuits and the good toy selection for Isla! I'm very lucky that I've made some fab friends out of going to baby groups and so has Isla. I find that going to groups also gives Isla the chance to socialise and play with new things which helps with her sensory development. It's all about finding people who you have more in common with than just your babies. People you can have a laugh with, share stories with and just generally get on with. Sometimes it's like speed dating, because you only have an hour or so, but without the dinner or wine! - the 'super over the top military' mum! So what are your verdicts? Do you enjoy baby groups or avoid them at all costs? Thanks lovey. Aw that's rubbish that you've had bad experiences - shame on those judgemental mums!! It is really horrible when you come across rubbish people. Karma will get them haha. Thanks for commenting! Never too late!! I find people get friendlier as your babies get older :) That's amazing Molly sleeps till then, wow! !